University of Helsinki is delighted to offer a PhD position in computer networks. The funding allows successful candidate to work for four years. Candidates are welcome before January 31, 2019. 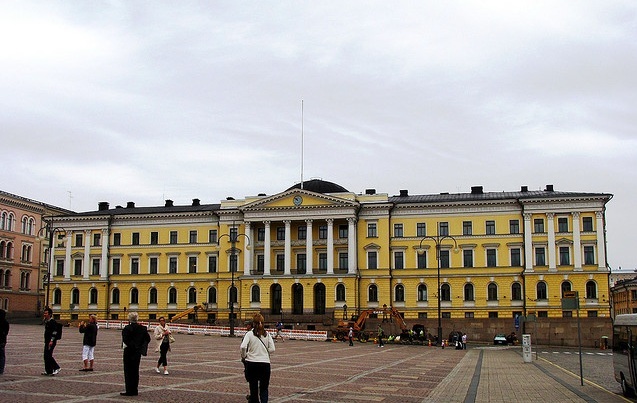 The University of Helsinki is an international scientific community of 40,000 students and researchers. It is one of the leading multidisciplinary research universities in Europe and ranks among the top 100 international universities in the world. The Department of Computer Science (https://www.helsinki.fi/en/computer-science), which is part of the Faculty of Science, is a leading Computer Science research and teaching unit in Finland. The research themes of the Department cover machine learning and algorithms, computer networks and distributed systems, software systems and bioinformatics. The Spatiotemporal data analysis research group is looking for a PhD student to develop estimation and machine learning algorithms for pedestrian navigation, and smart sustainable cities, especially for automated traffic. Development of sophisticated algorithms is needed to secure the computation of accurate and reliable navigation solution in challenging environments such as urban canyons and indoors, to detect and mitigate the effects of intentional interference of satellite positioning and to retrieve intelligence from the spatiotemporal data for the development of sustainable cities. The position is full-time and filled for four years. Applicants are expected to hold a MSc in Computer or Data Science and have a strong background in machine learning, statistics, programming and mathematics. The position requires an ability to work in an environment with English as a working language. Applicants who do not currently hold a doctoral student status in the Doctoral Programme in Computer Science at the University of Helsinki are also eligible to apply but in the event of hiring they are expected to acquire the status during the standard 6-month probationary period. - a CV including a list of publications - two reference letters Please submit your application using the University of Helsinki Recruitment System via the the Apply for the position button below. Applicants who are employees of the University of Helsinki are requested to leave their application via the SAP HR portal. The deadline for submitting the application is January 31th, 2019. For more information, please contact Associate Professor Laura Ruotsalainen (laura.ruotsalainen@helsinki).